If you’re looking for the best fried fish and seafood in Charleston, SC, look no further than Amen Street Fish & Raw Bar! Located on East Bay Street in the center of historic Charleston, Amen Street is just a short walk from some of the Holy City’s favorite attractions like the Harbor and City Market. Our menu has a wide selection of fresh seafood options, with many wonderful preparations. Visit us tonight! At Amen Street, you’ll enjoy casual, contemporary dining and the region’s finest and freshest seafood. We serve a number of unique entrees and appetizers on our lunch and dinner menus and offer a full raw bar with over 20 different types of oysters from local sources! 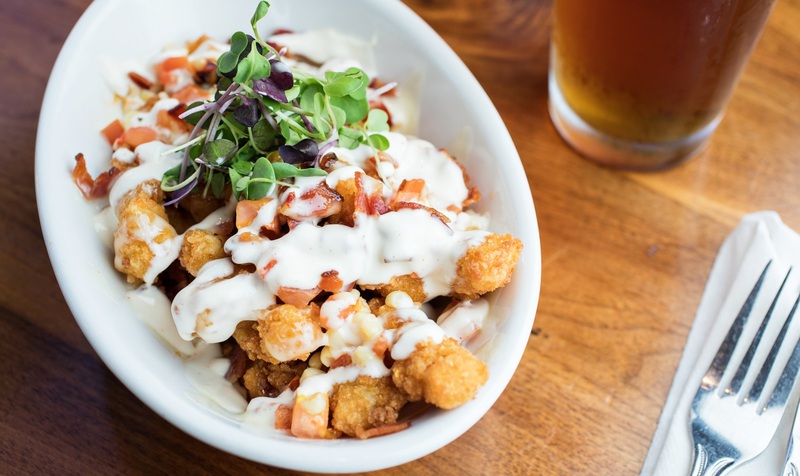 If you’re looking for the satisfying crunch of fried seafood, we offer the best selections in the area. Among our appetizers, one favorite fried selection is our Crispy Calamari Steak Slices topped with a unique lemon aioli. In fact, we are ranked #1 by Foursquare at the best place for calamari in Charleston! Come try it for yourself! Our Fried Oysters are also a very popular starter option. One of our favorite fried entrees is our Fried Seafood Platter. You’ll find this tempting selection on our dinner menu. It comes with a selection of shrimp, oysters, flounder alongside creamed corn, hushpuppies, paired with tartar and cocktail sauces. This is fried seafood heaven. If you’re stopping in for lunch, don’t miss our sandwiches! 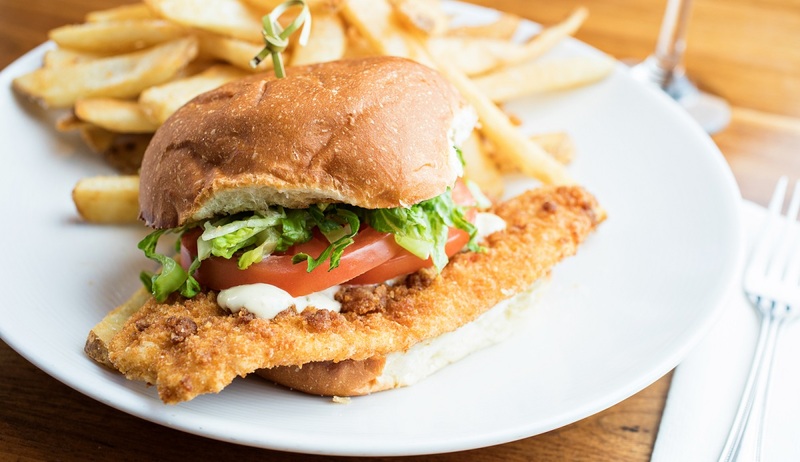 Our lunch menu features a delicious Fried Flounder Sandwich and the ever-popular Fried Green Tomato “B.L.T.” If salad is more your speed, consider adding fried oysters or crab cakes to any of our salad options. 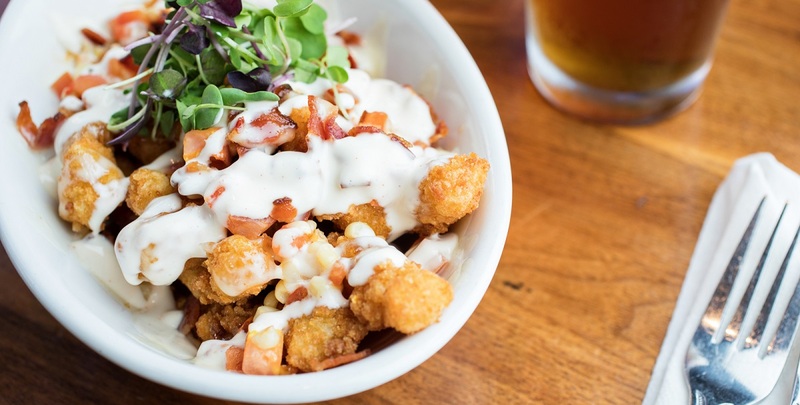 Lots of restaurants in Charleston offer fried fish and seafood, but Amen Street is proud to offer the freshest fish and seafood in creative dishes with unique menu pairings. Find us on East Bay Street, and try our fried fish and seafood today!